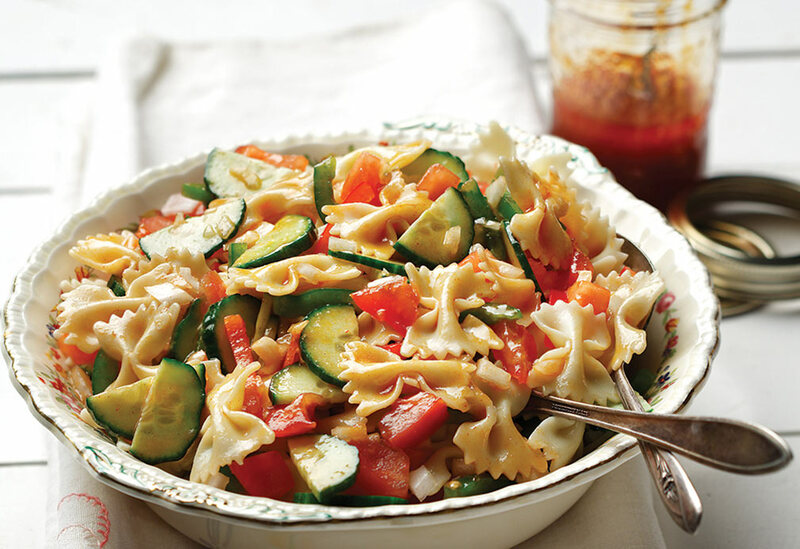 This pasta dish makes a great " celebration of the harvest" when the fresh tomatoes and peppers finally come in. Canola oil, with its mild taste and light texture, makes a nice light sauce while allowing all of the flavors to come through. 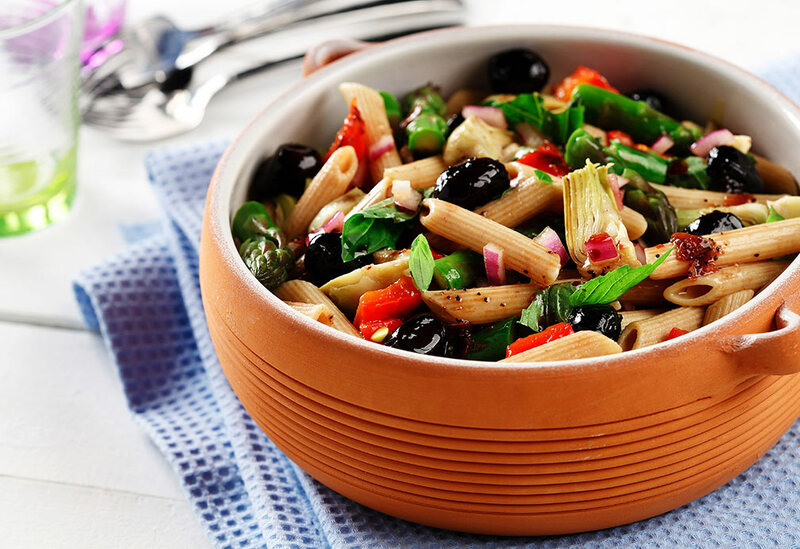 This recipe is perfect as a side dish for a late summer barbecue, or makes an excellent vegetarian main course when accompanied by some crusty bread. 1. Slice tomatoes in half, squeeze out all the juice and seeds. Chop tomatoes and place in large bowl. Stir in canola oil and garlic. Add green pepper, onion, basil, oregano and parsley to tomato mixture. 2. In a pot add 1 tsp (5 mL) salt to pasta water. 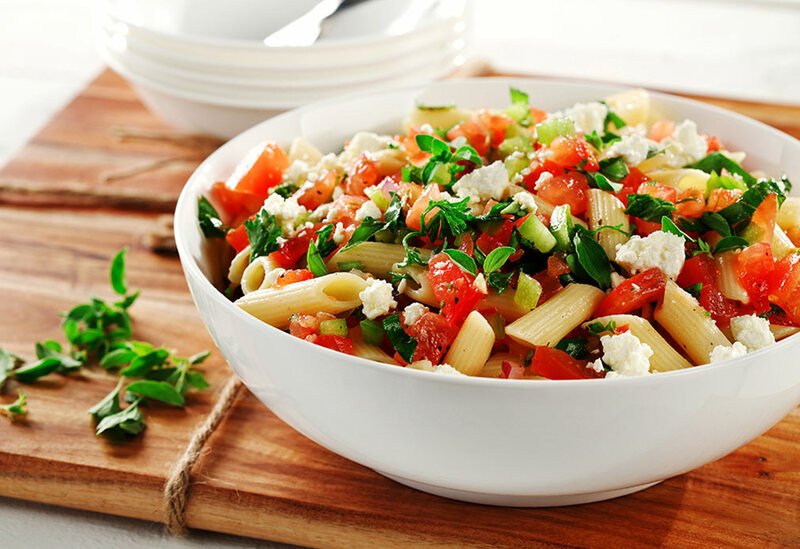 Cook pasta, drain and turn into tomato mixture. Add cheese and toss until evenly distributed. Season with salt and pepper to taste. Serve immediately. This colorful salad is perfect for lunch or a weekend picnic. 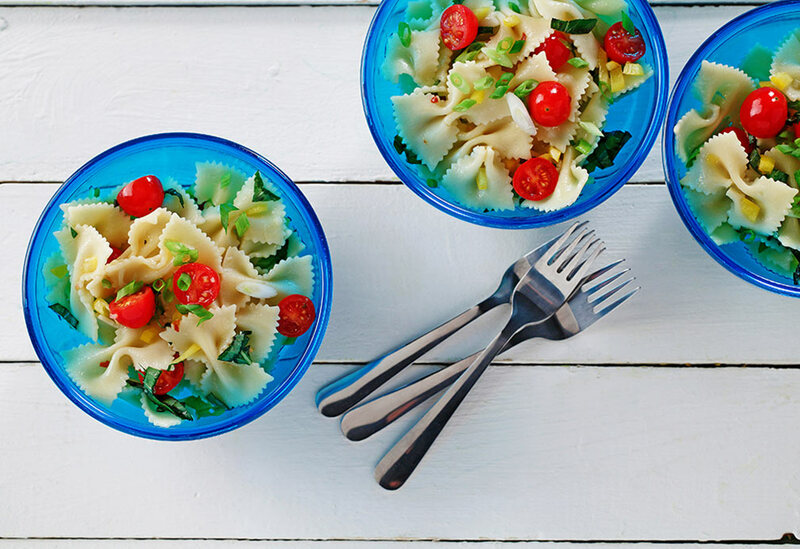 Canola oil’s neutral taste lets the other ingredients’ summery flavors shine.